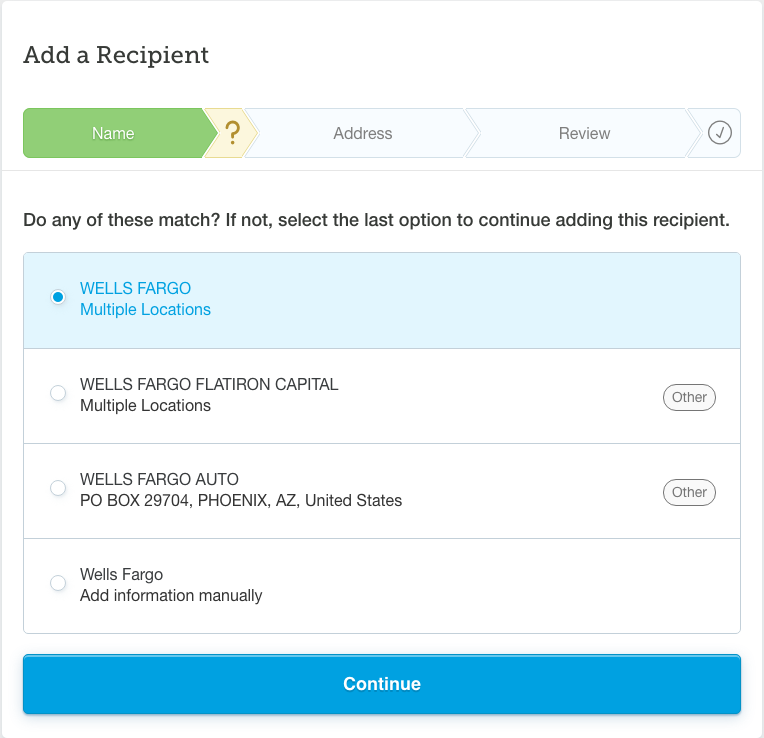 You’ll need to provide the full name and physical mailing address for the recipient of your payment, as well as the total amount owed and any account information used to identify you as the payer. 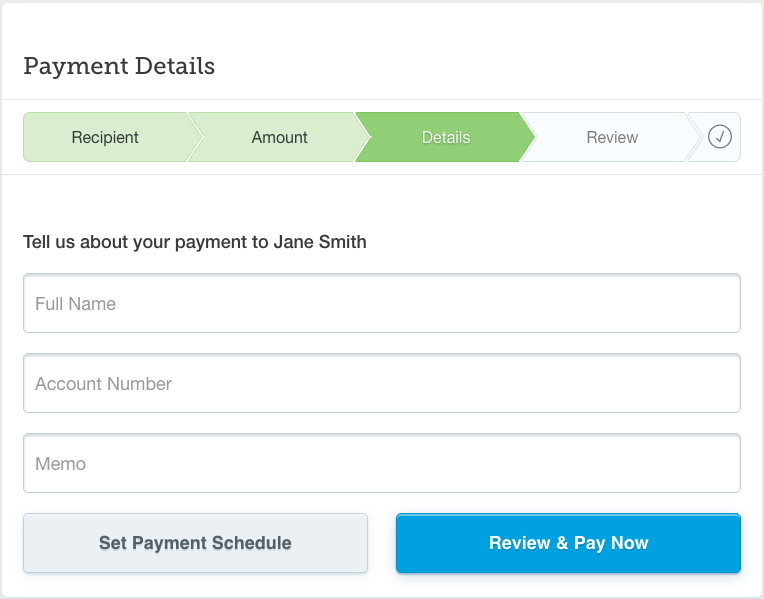 If your recipient is in our system and accepts Plastiq payments electronically, we will already have their funding information on file. 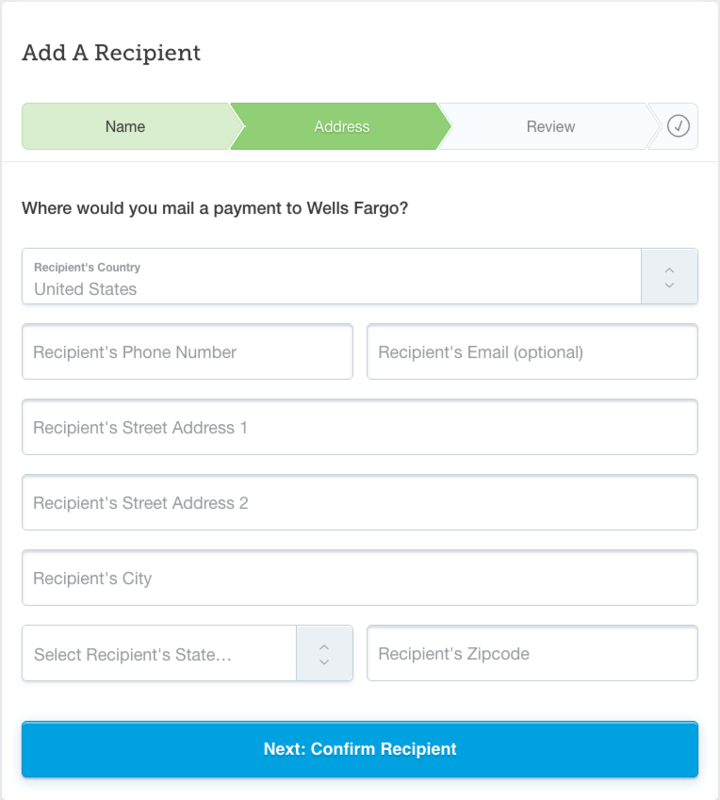 If your recipient is not yet recognized by our system, you'll be asked to provide their email address and/or phone number to help ensure that your payment is sent to the right place and arrives on time.